Following the news of a new bakery opening in Portlaoise in place of an old bakery, we were all reminded of some of our favourite Portlaoise businesses that no longer exist. 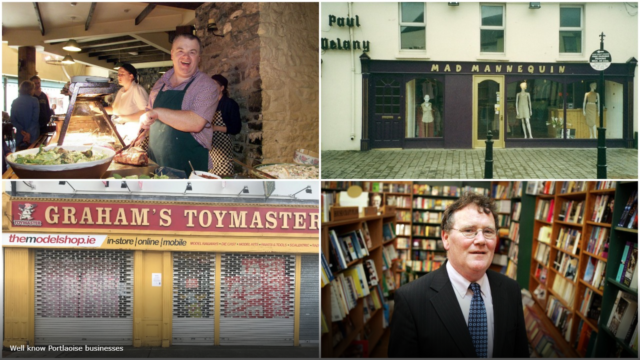 We compiled a list of 16 Portlaoise businesses that are no longer with us. Last week, we brought you the news that a new bakery was planned for Portlaoise. It provoked a huge reaction – primarily because the new establishment was to be set up in the place where an old one had previously traded. In December 2016, the popular Graham’s Toymaster in Portlaoise closed its doors for the final time. The store was owned and run by Richard Graham until he sadly passed away in September 2016. But what that story got us thinking about was the many other popular businesses that are no longer with us. 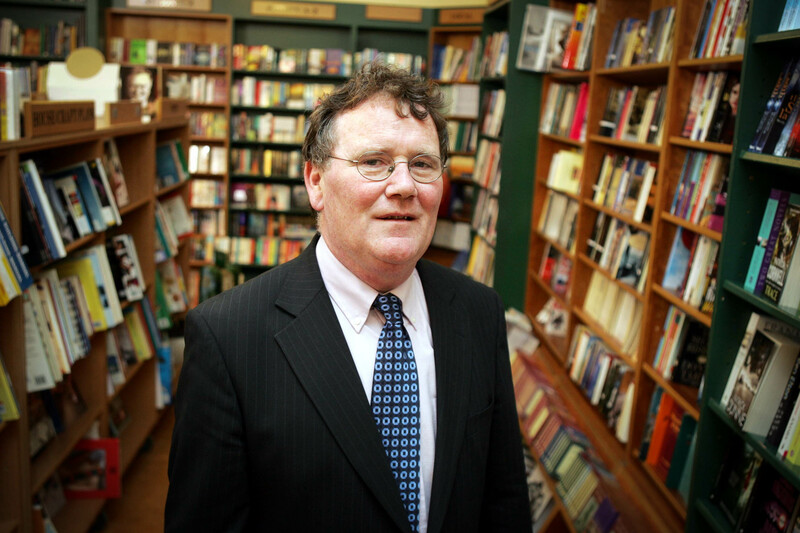 John McNamee among his beloved book shelves. Owned by the late John McNamee, Laois Education Supplies was Portlaoise’s main shop for books and stationary for many years. Later, the shop moved to Coliseum Lane to what it is now, a thriving three-story Eason bookshop. Laois Education Supplies is now the Social Welfare Office. 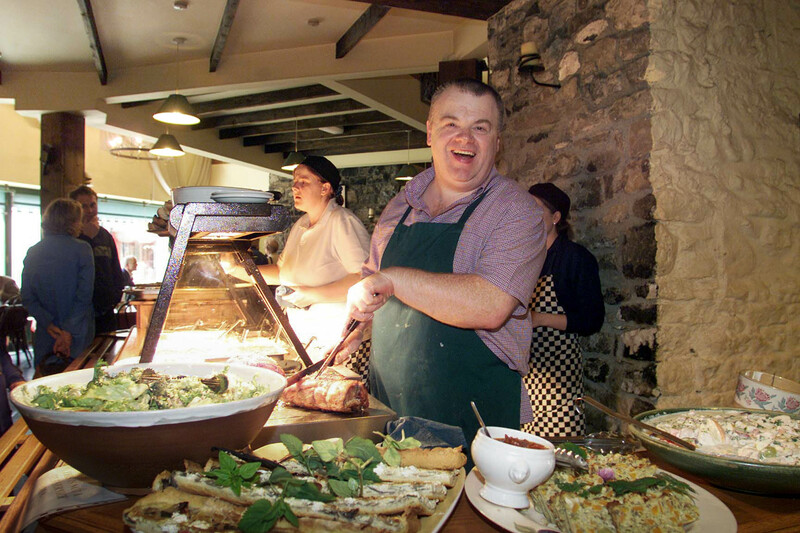 This restaurant was owned by Jim Tynan who sadly passed away in 2013. Located in Chruch Street, lunch time was always extremely busy as punters came to enjoy the delicious homemade food. Went on to become an Italian Restaurant and is now home to the Bay Tree Restaurant. This was located where Xtra-vision used to be. The first film shown in ‘the Col’ (September 18, 1936) was Captain Blood starring the swashbuckling Errol Flynn. In the early 1970’s, the cinema was rebranded as the Coliseum Film Theatre. In 1985, the cinema was destroyed by fire – in March, 1987, Circuit Court judge Kevin O’Higgins ruled that the fire was malicious – and reopened two years later as Coliseum Twin Cinema. It finally closed its doors on Thursday November 30, 2000. 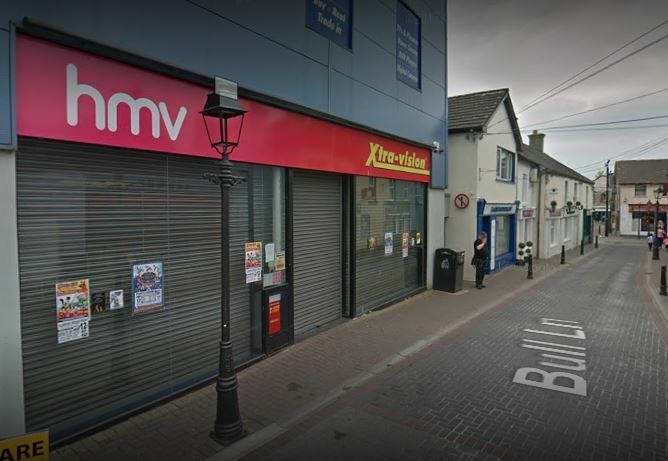 Closed down in recent years, Xtra-vision was an extremely popular video-rental shop. Before the times of Netflix, illegal streaming sites or Sky On Demand, this was really the only way you could see a movie if you missed it in the cinema. It also rented Playstation and Xbox video games. Owned by popular politician the late Joe Dunne, who was affectionately known as ‘the Bun’. 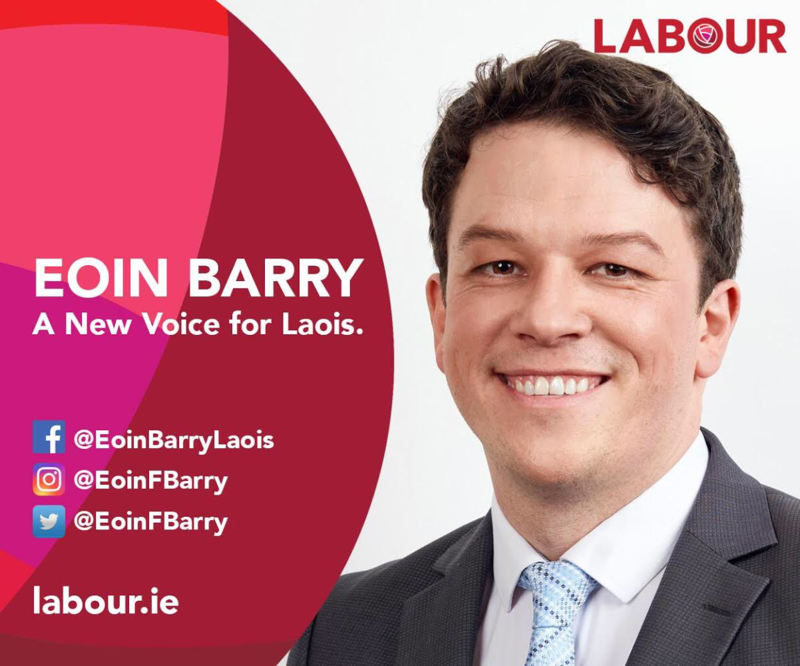 In 1999, for instance, he was elected to both the Town Commission and Laois County Council on the first count. On June 16th 2000, in his capacity as Chairman of the Council, he officially opened the People’s Park down the New Road. Located in Lyster Square, it sold sweet and savory food. You could sit down in it too and enjoy some of the beautiful cakes. In December 2016, the popular Graham’s Toymaster in Portlaoise closed its doors for the final time. The store was owned and run by Richard Graham until he sadly passed away in September 2016. A former psychiatric nurse, Richard was one of the first businessmen to open in Lyster Square in the late 1970s. A member of Portlaoise GAA, Richard was also a Fine Gael Town Councillor in the 1990s. Before we had Elverys, Heaton’s Sportsworld and Lifestyle Sports, Portlaoise had the Sports Shop. Right beside the aforementioned Graham’s, it had everything. Football boots, swimwear, the lot. Every young lad and girl of a sporting persuasions dream. Once a hive of activity, CentrePoint Shopping Centre is now completely vacant. It once had Shaws, Gings, a supermarket, a furniture shop, a hairdresser and a restaurant as well as a service station. 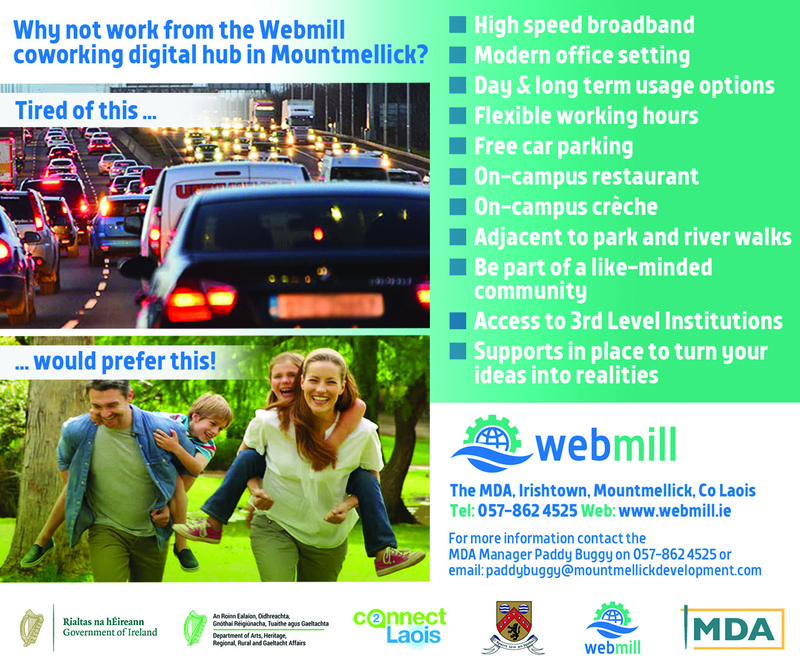 One of the first shopping centres to come to Portlaoise. A boutique located on Church Street. Sold all the up-to-date clothes and latest fashion for the ladies of the 1980s. 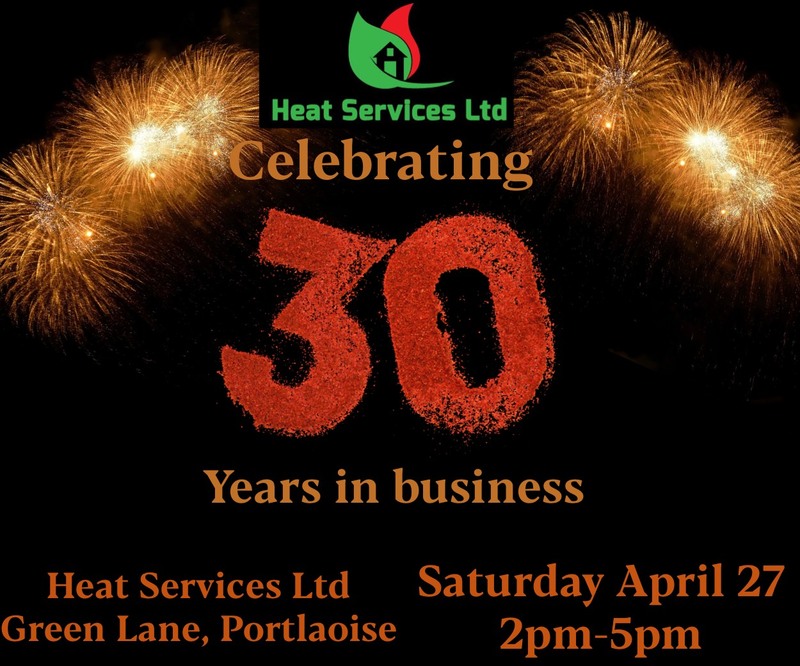 Was originally located between where Elaine Dunne Solicitors and Erre Esse are today. In its day, The County Hotel in Portlaoise had a bar and lounge that would always be packed to the brim. They would routinely have dances and bands would play live music at the weekends. Sadly closed down and was set on fire in June 2015. It was purchased by Laois County Council in 2017. 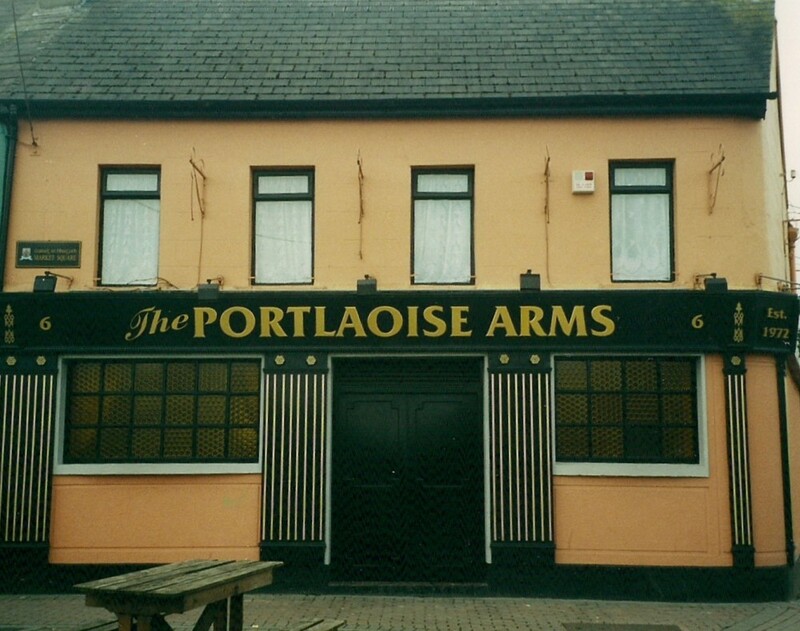 The Portlaoise Arms closed for business in 2008 and, despite subsequent and protracted, reconstruction, the building still remains vacant. However, that is set to change as plans have been submitted to transform it into a restaurant. 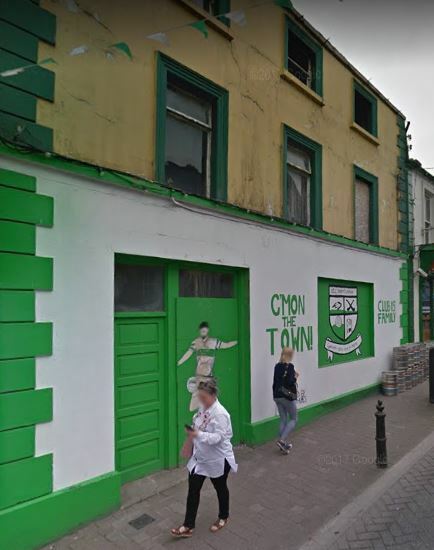 A lively spot for young people, it was a regular watering-hole for GAA supporters before they made the trek up to O’Moore Park. This was a confectionery shop. But it also did a lunchtime trade and sold sandwiches and soup as well. Located on Main Street near where Property Pwroperly and Ryan’s Pub are now, this was a very popular spot. This shop dates back to the early 1900s. Wexford natives Nicholas Fortune and his wife Ellen opened their draper’s shop here. 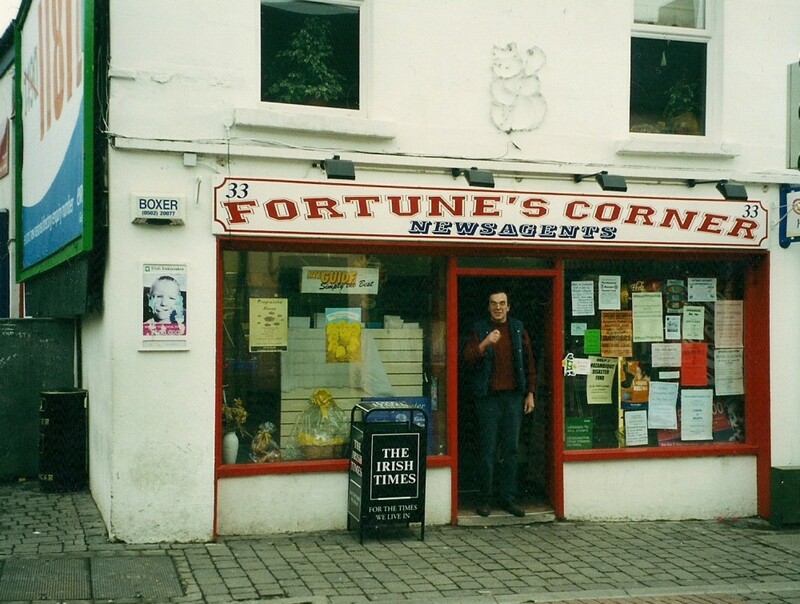 Nominally a stationer’s, Fortune’s became what you might accurately describe as an emporium of the sacred and profane, selling everything from newspapers, comics, sweets and cigarettes. The premise is now occupied by iRepair Shop, a specialist phone/laptop repair service. A bit like Fortune’s above, Paul Delany’s was a Newsagents who sold everything. Many middle-aged adults will remember going in there on their way home from school to buy sweets. Located near where Star Tatoo is today. 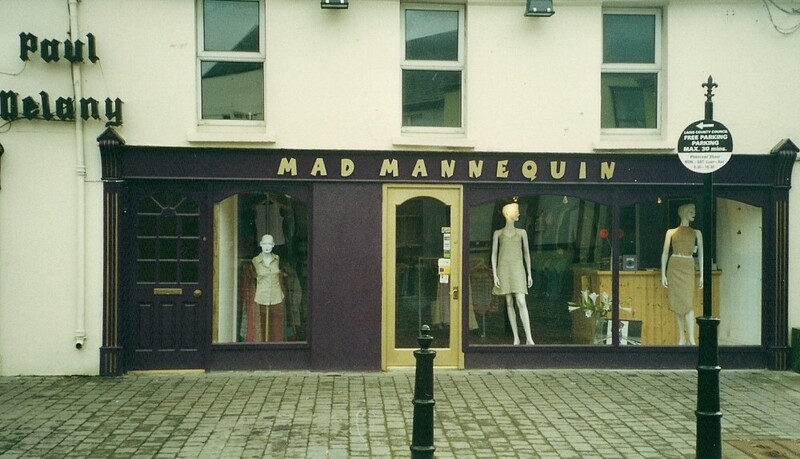 Just down from Delany’s was a boutique clothes shop known as the Mad Mannequin. Its name certainly caught the eye and it specialised in high quality clothes for women. 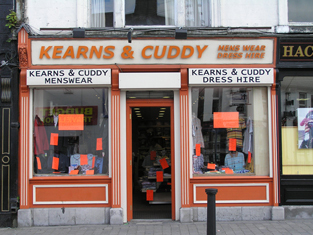 A shop which dressed many men in Laois for debs, graduations, weddings and dinner dances. Just closed its doors recently and has been replaced by a clothes shop called Vera.